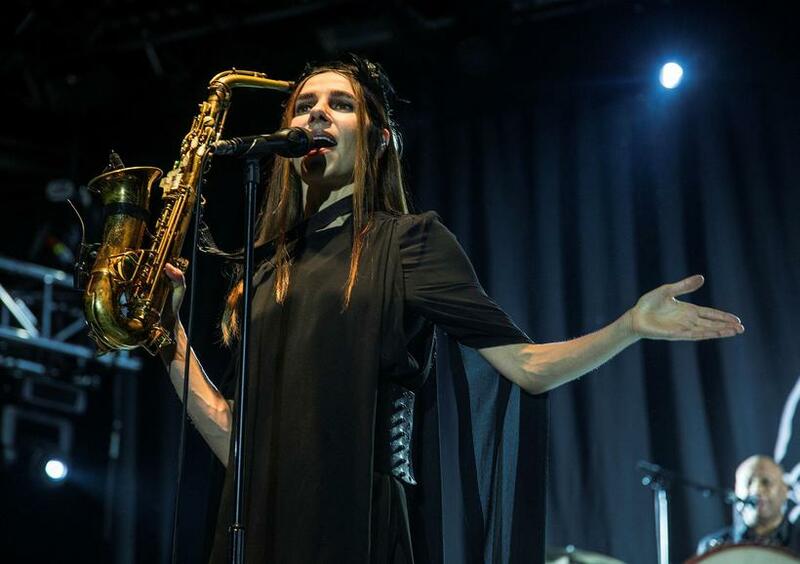 Iceland Airwaves came to a close last night with a performance by UK star of protest rock, Polly Jean Harvey, PJ Harvey, at the Vodafone sports arena in Reykjavik. 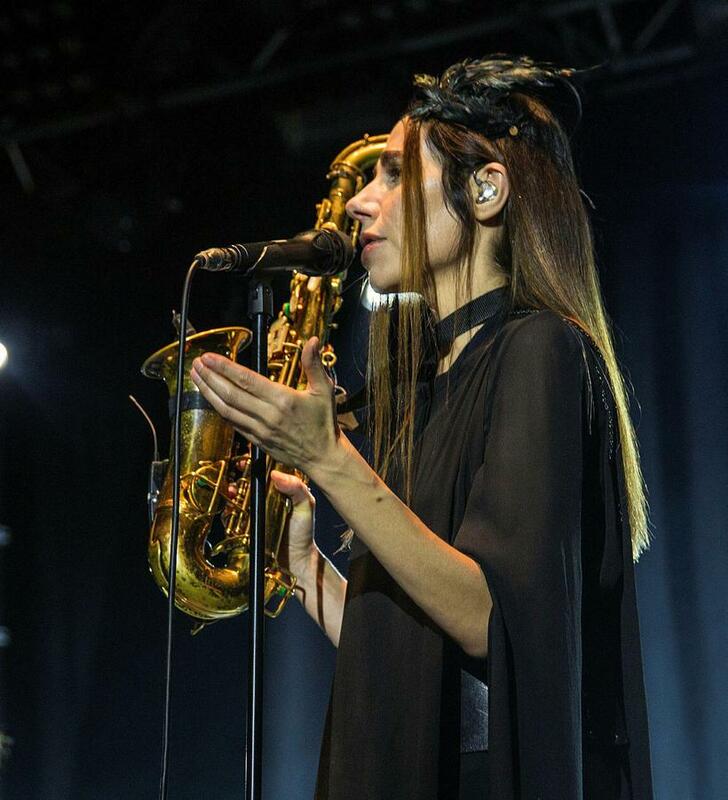 Accompanied by an all-male band on backing vocals, including former Bad Seed Mick Harvey, she cut a dramatic, raven-like figure on stage, brandishing a saxophone. 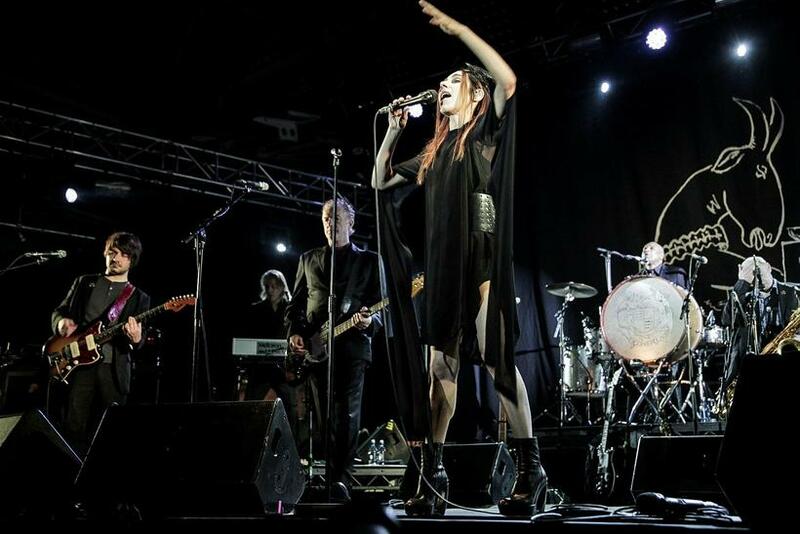 Harvey performed several songs from her new album, The Hope Six Demolition project, as well as various older tracks including The River and Bring You My Love. 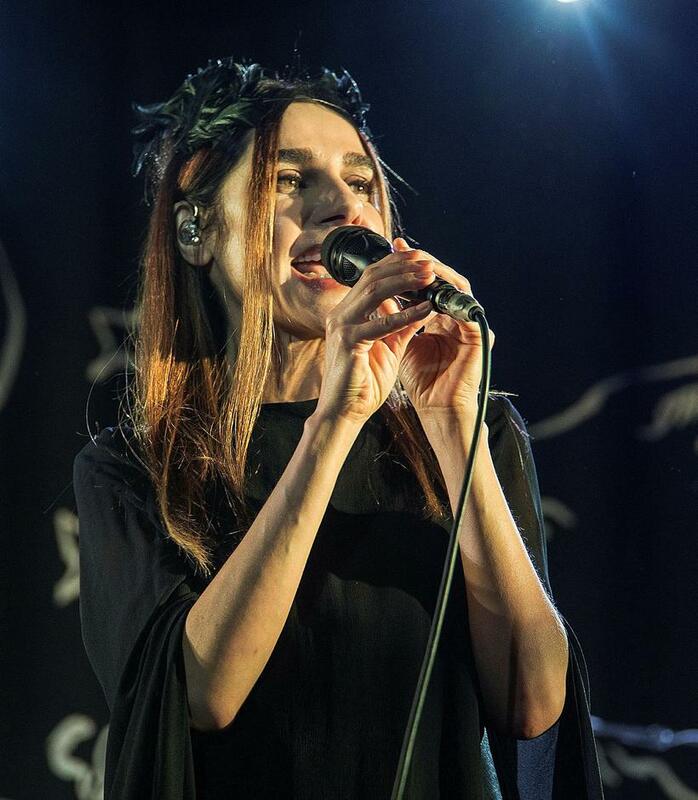 Photographer Freyja Gylfa captured the atmosphere.